These chibi-cats twins from the Monster High love to dress up and relax together. Today they go to the dance. To do this they need to find something new and cool. How to play: click with the mouse on the buttons on the right to choose hair, clothes and other jewelry for the cats. When you finish playing dress up game, then click on Done button to see how the outfit you created will look on the girls. Played: 45180. Added: 6-08-2012, 09:20. 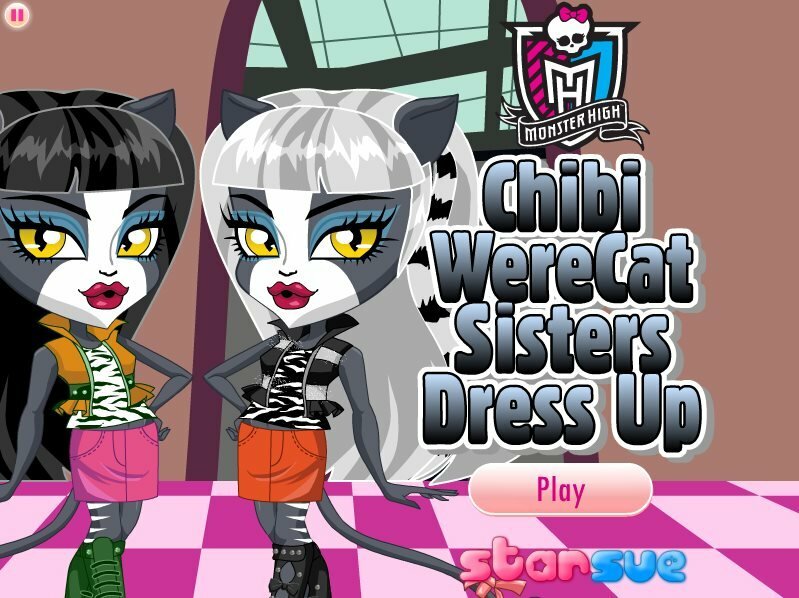 Chibi werecat dress up game. Dress up with chibi sisters.